Girl group BVNDIT, 1st album photo teaser shows model Force. Five-member new girl group BVNDIT has completed the unveiling of their colorful personal and unit photo teaser. The BVNDIT released a series of personal and unit teaser images of their first album "BVNDIT, BE AMBITIOUS!" on their official SNS account on the 4th and 5th. The personal teaser images of Song Hee, Jung Woo and Si myeong, which were released before midnight on April 4, show the three members each giving off innocent and feminine charms. At the unit cut, which was unveiled with a personal cut, they stared at the camera with a deep, emotional look, and fixed the eyes of the viewers. The next day, at midnight, the individual and unit photo teaser of Yi Yeon and Seung Eun took off the veil. The two members in the picture boasted a multi-faceted sense of innocence and chic coexisting, and captivated fans with a unique atmosphere, as if to see models in the pictorial. 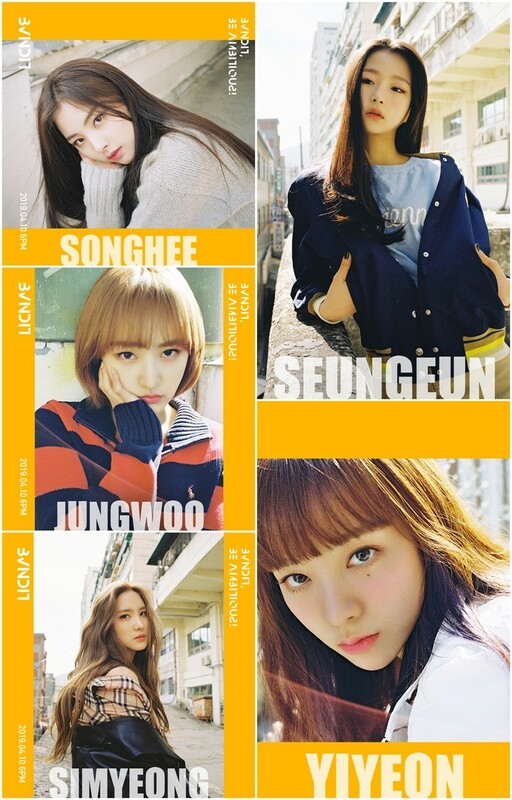 The BVNDIT, a collection of five girls with different personalities and charms as well as non-new talent, has drawn keen responses even before their debut, drawing attention as a "Chung ha’s sister group" and the best expectant in the first half of this year. BVNDIT’s first album, "BVNDIT, BE AMITIOUS!" is released on various online music sites at 6 p.m. on April 6.